Qatar Airways Boeing 747SR at Gatwick Airport in 1996. 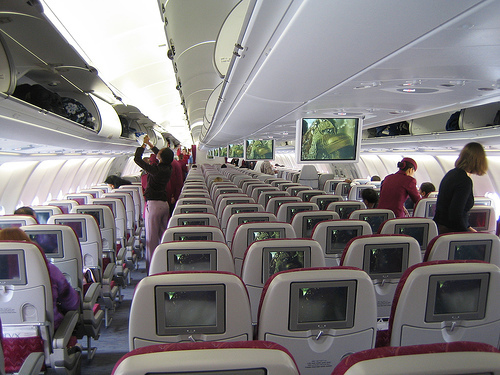 Qatar Airways was established on 22 November 1993. The airline started its operations on January 20, 1994 using a wet-leased Boeing 767-200ER from Kuwait Airways. It was originally owned privately by members of the royal family of Qatar. Then it was re-launched in 1997, under a new management team. Currently, the government of Qatar holds 50% stake in the airline with the rest held by private investors. On 24 March 1997, Qatar Airways took possession of its first Airbus A300-600 aircraft on lease from AWAS in new Qatar Airways livery. On 1 February 1999, it took delivery of its first new Airbus A320 aircraft (A7-ABR) on lease from Singapore Aircraft Leasing Enterprise (SALE). In May 2002, the Government of Qatar withdrew from Gulf Air. At that time fast-growing Qatar Airways had 21 aircraft. On 10 May 2003, Qatar Airways took delivery of its first Airbus A330-200 aircraft (A7-ACA). On 11 January 2004, at the Dubai Airshow, Qatar Airways placed orders for Airbus A380s and A340-600s. 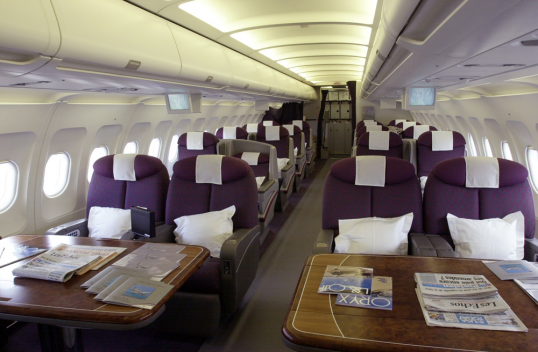 Its first A340 was delivered on 8 September 2006. On 18 June 2007, Qatar Airways became the launch customer for the Airbus A350 when it ordered 80 aircraft worth US$16 billion, at the Paris Air Show. On 27 June 2007, Qatar Airways made its first flight to the US when it began service to New York. On 11 November 2007, Qatar Airways ordered 60 Boeing 787-8 Dreamliners and 32 Boeing 777s. On 29 November 2007, the airline's first Boeing 777-300ER arrived at Doha. On 3 February 2009, the airline took delivery of its first Boeing 777-200LR. The "LR" stands for "Long Range." On 15 June 2009, at the Paris Air Show, Qatar Airways ordered 20 Airbus A320 and 4 Airbus A321 aircraft worth $1.9bn. On 12 October 2009, the company completed the world’s first commercial passenger flight powered by a fuel made from natural gas, and on 1 December 2009 Qatar Airways' first scheduled flight to Australia arrived in Melbourne. On 18 May 2010, the airline put its first Boeing 777F (A7-BFA) into service, with a flight from Doha to Amsterdam. The aircraft had been delivered on 14 May 2010. On 22 June 2011, Qatar Airways was recognized as the World's Best Airline at the 2011 World Airline Awards, in a ceremony held at the French Air and Space Museum as part of the 2011 Paris Air Show. In November 2011 at the Dubai Airshow, the airline announced an order of 55 Airbus planes: 50 A320neo and 5 A380, in addition to two Boeing 777 freighters. On 27 January 2012 Qatar withdrew from negotiations to buy Spanish carrier Spanair, which ceased operations later the same day. 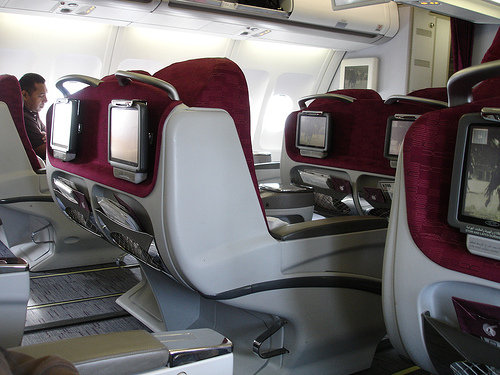 Qatar Airways has many divisions including: Qatar Aircraft Catering Company, Doha International Airport, Qatar Airways Holidays, United Media Int, Qatar Duty Free, Qatar Aviation Services, Qatar Distribution Company and Qatar Executive.